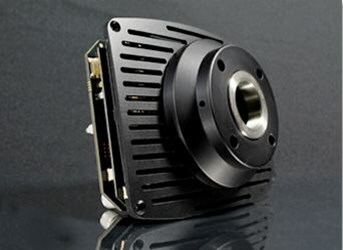 SPOT Imaging offers a variety of OEM and custom camera solutions – from board level designs for system integrators to fully functional and stand-alone imaging systems. An emphasis is placed on lowering overall electronic noise without sacrificing the camera’s speed. SPOT Imaging Solutions is poised to provide you with cameras with high resolution, high frame rate, and low noise, with a wide range of CCD and CMOS image sensors to choose from. What they’re able to offer as a result of this are scientific grade digital cameras for low light level applications, each with a full 2 year warranty. Standardized SDK software support is included with each camera SPOT Imaging provides. This highly configurable SDK uses a C API and includes a C/C++ header file for function and parameter declaration. It enables tight integration without requiring additional runtime dependencies to make your application easier to maintain. It is clearly written and well documented, and sample code is included. Contact SPOT Imaging Solutions for more information on their OEM and custom camera offerings or to discuss your application.